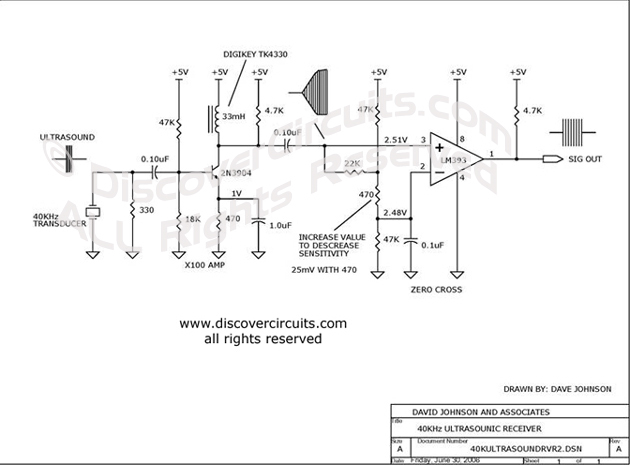 Circuit: 40KHz TV-VCR LIGHT SOURCE REPEATER __ Circuit designed by David A. Johnson, P.E. A X100 transistor Amplifier is followed by a zero cross detector circuit, using a voltage comparator. The output is a TTL logic signal, corresponding to the received 40KHz signal.